A 245-bed acute care facility, JFK Medical Center North Campus is designed with our patients in mind. Conveniently located and equipped with semi and large private rooms, soothing environments and technologically advanced medical equipment, our superbly trained and attentive staff is committed to delivering pleasant patient experiences and positive medical outcomes. Our comprehensive offering of hospital services not only establishes JFK Medical Center North Campus as a premiere, full-service hospital but makes certain that our caring staff is prepared to address the healthcare needs of those we serve. 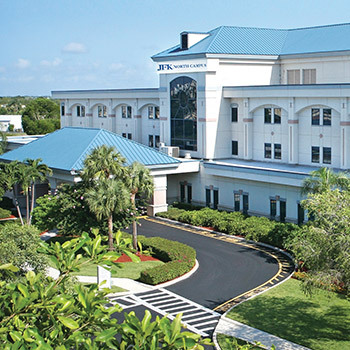 We are proud of our Advanced Certification as a Primary Stroke Center. This distinction is a direct result of our physicians and employees’ commitment to clinical excellence. Our mission is to provide a superior patient experience with compassion, empathy, honesty and respect.